Councillor Bob Kaigey is committed to creating change, building unity and improving infrastructure for Mer. Councillor Kaigey draws strength from his family, partner, children and community, and from his skills and talents. He enjoys playing sports, music, and fishing. Councillor Kaigey records his music, creates albums and is an established painter. With a range of work experience across Department for Transport and Main Roads, in construction and as a Community Police Liaison Officer, Councillor Kaigey has recently worked in Health Promotion as a career and is currently undertaking University study in the area. 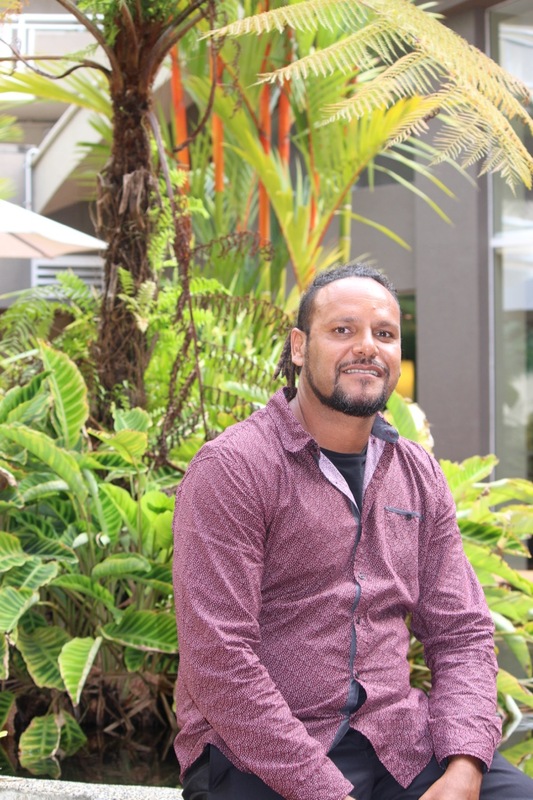 He has a personal as well as professional interest in Health and Wellbeing and has previously completed Cert III in Primary Health Care, and Health and Fitness. Cr Kaigey is also studying an Associate Diploma in Indigenous Health Promotion at University of Sydney.